Saturday saw our monthly attempt at the Fountains Abbey Parkrun, a 5km route through the beautiful surroundings of this National Trust property and world heritage site near Ripon, a fantastic location for running. I was feeling reasonably confident following our uphill run on Tuesday and a testing game of squash on Thursday, though a Friday night glass (or two?) of wine may have taken the edge off. The day was already warm as we lined up for the 9am start. Setting off I felt I was going a sensible pace, and on the second lap deliberately held back slightly so that I could keep a little for the finish incline. It felt uncomfortably hot in the sunny spots, but fortunately there were some decent stretches in the shade too. The course always seems slightly more undulating than I expect and the gentle rise to the finish is the toughest if not the steepest. I crossed the line in a reasonably respectable 27.15, 8 seconds outside my PB. I was hoping to go slightly quicker but overall was reasonably satisfied. Liz finished in 29.10, a good time following recent injury. Full results here. One of the toughest parts of this Parkrun is the steep (walking) climb back up the hill after the finish, but with this successfully behind us I was restored by a coffee and bacon sandwich at the café. Our next Parkrun is scheduled for 29 August. I think a new PB is in reach with the right training between now and then. Initially, the idea of running two miles up hill to the summit of a bleak moorland does not seem like the most attractive prospect, but this is what I and several Harriers attempted on Tuesday evening. The location was Silton Forest a few miles north of Thirsk, and the target was the summit of Black Hambleton, at 400m the highest of the Hambleton Hills and one of the highest tops in the North York Moors national park. The run began in the forest car park where runners were heavily outnumbered by flies. The route set off on a level track but soon began rising with varying degrees of steepness through the trees, with a good display of common spotted orchids on the verges. Emerging from the forest, there was another flatish section before passing through a gate and heading towards the summit on a rocky track with heather flowers to either side, with some really testing hills and a brief rain shower. I had adopted a strategy of walking 20 paces then running 30, but even that was hard to maintain on the steeper sections. 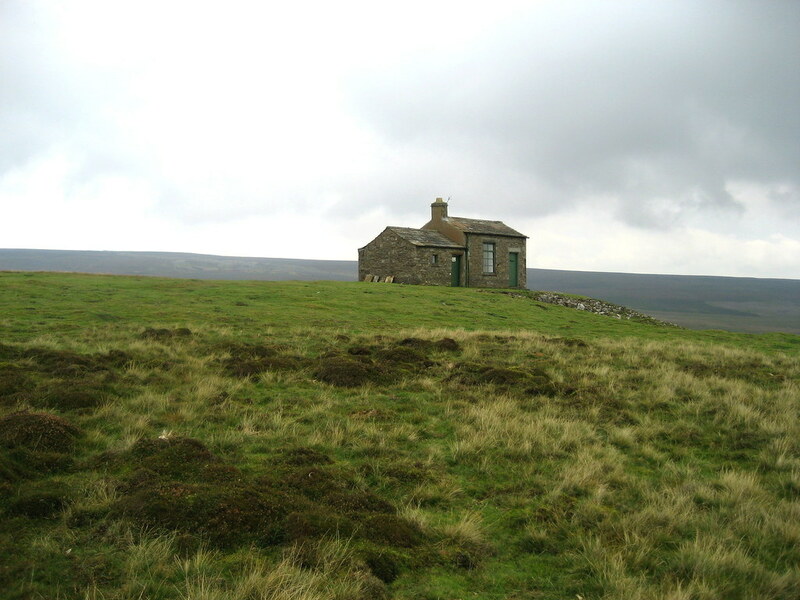 With lungs bursting, a turn off the main track led to a short path across the open moor and the summit finish. After a few moments of recovery it was time to look at the fantastic views, across the plain of York to the Pennines and north to Urra Moor and the Cleveland Hills. Although not a huge climb there was a sense of satisfaction at reaching the top. The way down was easier, a gentle jog back down the moorland track and through the woods to the car park, and a stretch in the company of our fellow summiteers and many more flies. Thanks go to Bryan and Claire for devising the route and organising the runs. I would certainly be keen for another go before too long. For a number of reasons only a single run this week. Arriving at the Athletic Club in a downpour meant that the four hardy runners who had turned up were in two minds, but a lull in the rain got us going and we did around four miles up Newsham Road, across to South Kilvington and back down into Thirsk, where the rain came on heavily again. 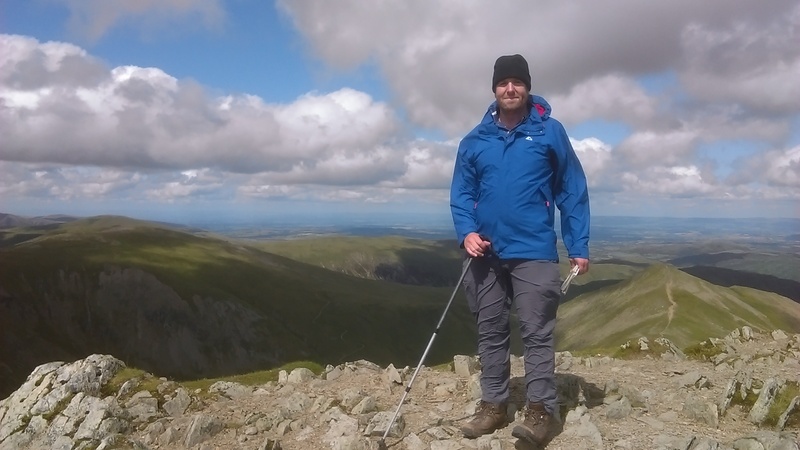 We headed to the Lake District on Thursday for a wedding, and after a day’s recovery went for a walk up Helvellyn on Saturday. The weather was pretty good, cool and breezy but fairly clear, and the views from the top made the steep climb worthwhile. 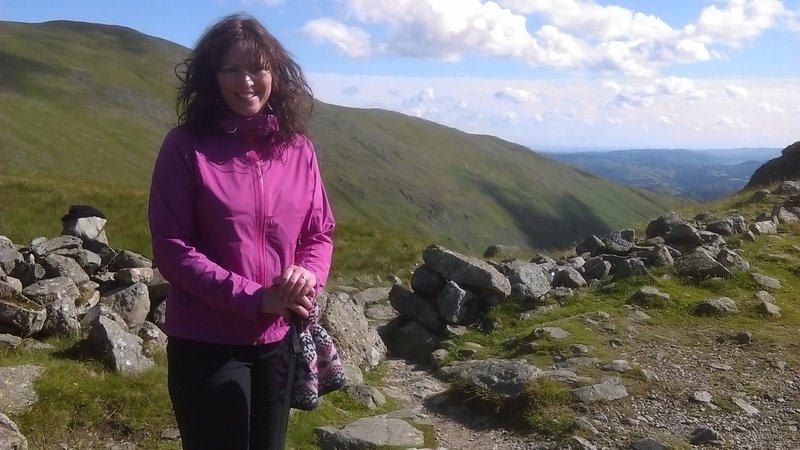 We took the route up from Grasmere, so avoiding Striding Edge. The climb is quite a long one but with some good views down Patterdale to Ullswater on the ascent. Hopefully the walk will prove good training for the run up Black Hambleton on Tuesday and our monthly effort at the Fountains Abbey Parkrun on Saturday. On Sunday I took on the challenge of the James Herriot Trail Race, starting at Castle Bolton in Wensleydale. The race starts in a beautiful spot, with great views to Penhill across the valley and over to Bishopdale. The first few hundred metres are straightforward, a flat lane past the castle, and then the route turns left and heads up a mile of unremitting hillside, the toughest race start I think I have encountered. At the top the route follows the moorland ridge, on a stony track, up the dale in a generally westerly direction with more great views but less time and breath to enjoy them. 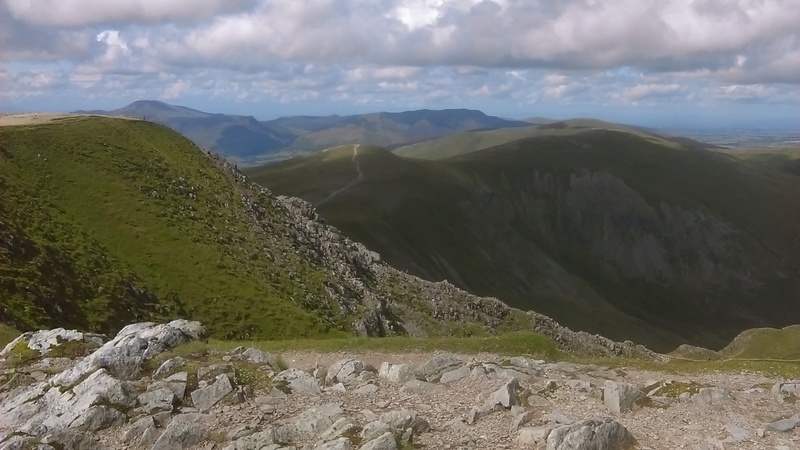 There is then a descent across Beldon Beck and another sharp incline up to isolated Greenhaw Hut. From this point, the run becomes a little more friendly, with a longish descent on better paths and then a stretch on good tracks with fewer hills heading back towards Castle Bolton, a loop of around 9 miles in total. There was a good turn out from Thirsk and Sowerby Harriers, as hoped as this was a club championship race. The encouragement in the last few yards was very welcome, and I was pleased to find at the finish that others had found it tough also. I was partially restored by fish and chips in Leyburn on the way home. Lessons learned for this route include the necessity for a slow start up the initial steep climb – with another eight miles to go at the top you cannot afford to be too tired there. Plans for the week ahead: Thirsk and Sowerby Harriers Tuesday night run – hopefully the rain will have stopped! From there it is a short descent by road or path and then back on an undulating forest track to compete the loop. In good weather it is beautiful, and in bad weather relatively sheltered. The changing seasons bring dramatic changes to the woods and surrounding countryside. It is especially good around sunset when the cliffs turn a golden colour. In running terms it is challenging but not too difficult. Highly recommended!